Weekend baker, cook book collector, gatherer of family recipes..
My love for baking, cooking and experimenting in the kitchen seems to have been passed down through the family tree. My favourite childhood memories are of hanging around the kitchen, an impatient but willing guinea pig for mum and gran’s experiments. I have been baking for a while now and this blog is an attempt to document some of the more successful weekend experiments. When I am not pottering around the kitchen, I can be found discovering new bakeries, cafes and restaurants to recommend to friends or browsing for new cookbooks and recipes to collect..cities and languages, no bar yet. And if you’re wondering if all this baking is healthy, I will let Jim Davis sum it up for you. Came across your pinterest page when I was trying to learn more about Pathare Prabhu culture and cuisine. Good to see your passion for food! I love your tag about vegetables and diets. I am on the list of A-Z bloggers with two blogs Flowerchild Designs and Notes from The Tomato Lady. I also love to cook/bake and thought about starting a comfort food blog. If only I could squeeze out more time in my day! I surmise that you are’nt in the States since you use grams and “ou” in words instead of just “o”. You’re right – I live in London, hence the spellings. 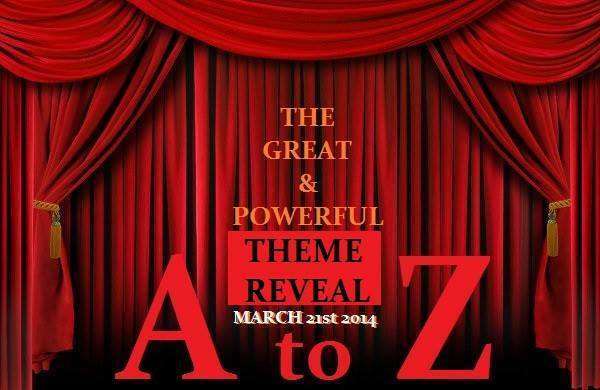 I’m new to A-Z and I’m looking forward to it.